"No winter lasts foreve; no spring fails to return..." This charming little group of crocus designs will set your hopes on Spring! 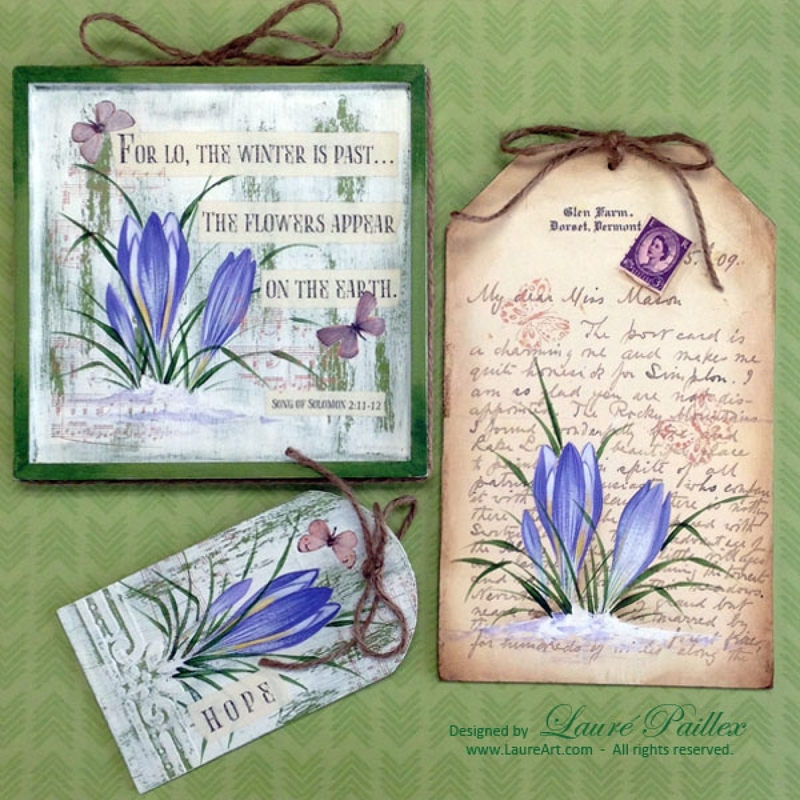 Mixed-media techniques include painting and decoupaged ephemera accented with jute twine for a shabby cottage garden effect. Think Spring!